It’s nice that I got a spare Jonathan Toews card (yay! 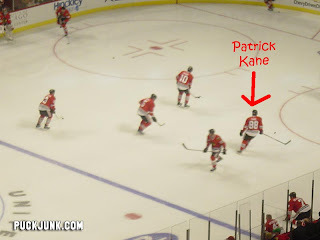 ), I am sorry that I didn’t get a spare card of Patrick Kane. 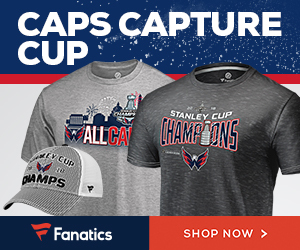 I’ve heard of Bobby Ryan and Niklas Backstrom, so having spares of them can’t be a bad thing…but I’m drawing a blank at Bryan Little or Andrew Cogliano. Overall, I need those three update rookies, 26 other rookie cards and one base card, and then I’ll have the entire MVP set. I am planning on adding my want lists and trade lists to this site soon. In the meantime, if anyone has that Folingo, Sterling or Setoguchi cards for trade, drop me a line. Awesome! 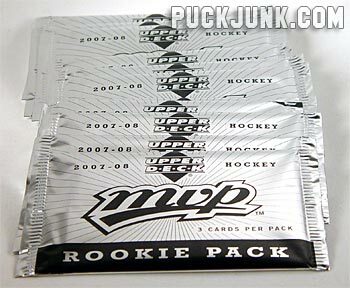 Today I got my 2007-2008 MVP Rookie Packs. If you redeemed your MVP redemption cards, then watch your mailbox–you should be getting your Rookie Packs soon. 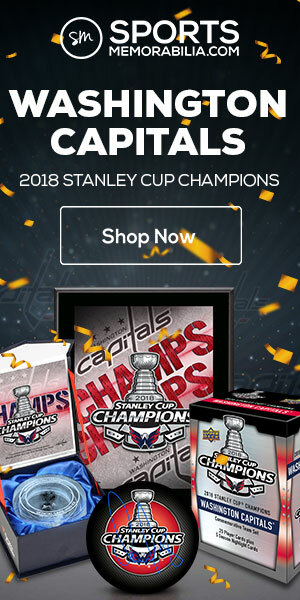 I redeemed my redemption cards online on November 7. Two months later, I have these packs. 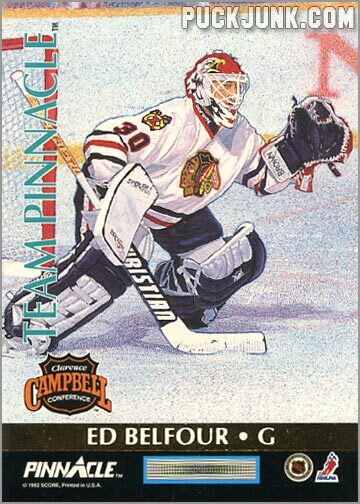 There are 30 different rookie cards (numbered 351-380), and I have 12 packs (each contains 3 cards). It would be highly unlikely that I’d get all 30 cards that I need, and only 6 doubles. 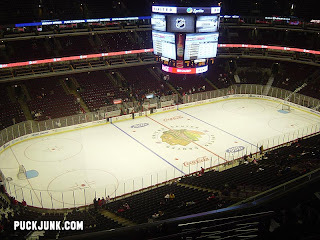 But if I get a lot of doubles, hopefully they will be of Patrick Kane and Johnathan Toews. OK, so this post is a few days late, but I would like to wish the ten or so people who visit this website a Happy New Year. When my school where I teach at went on break in mid-December, I had lofty aspirations to update this site five times a week…at least for a few weeks. 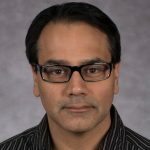 After all, how can I expect to develop a following if I update this site once a week or less? 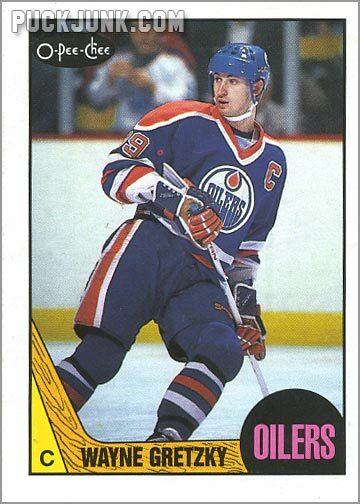 But that goal was lofty indeed. Even though I was free of work-related responsibilities, I still had to contend with family, friends and the holidays. 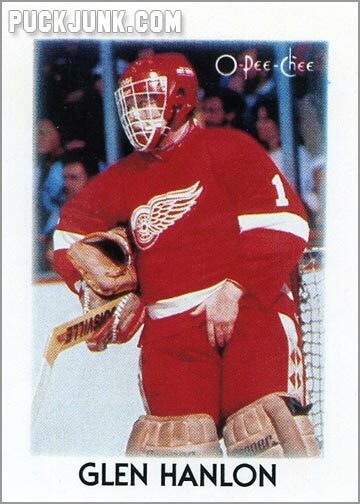 Look at the back of this card of Ken Solheim, and you will see that he was traded from the Minnesota North Stars to the Detroit Red Wings near the end of the 1982-83 season. 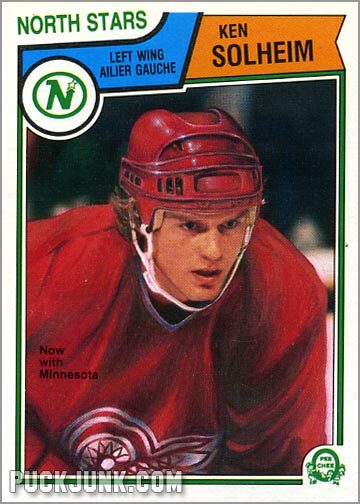 Flip the card over to the front, and you’ll notice that Solheim’s North Stars uniform has been airbrushed over, so as to look like a Red Wings uniform. However, the card still has a North Stars name and logo at the top, as well as an annoying little bit of text that reads “Now with Minnesota”. 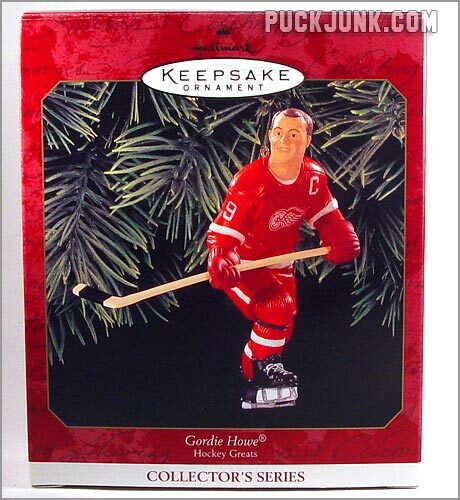 For their third ornament in the “Hockey Greats Series”, Hallmark decided to pick a long-retired hockey legend: Gordie Howe. 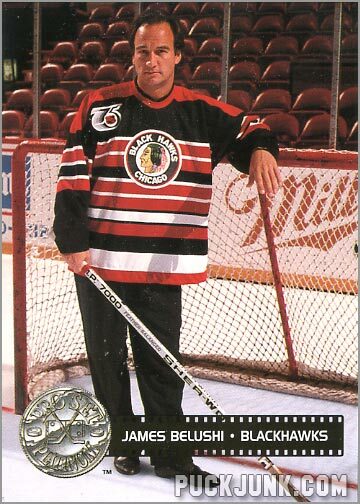 Howe last played pro hockey in 1980, so I never saw him play. 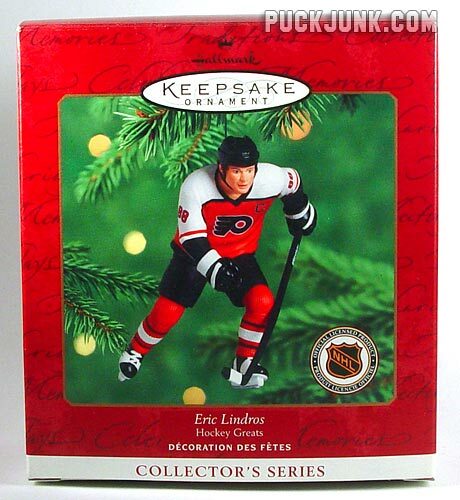 I still bought this ornament back in 1999, partially because I had the previous two (typical collector mentality, eh? ).